Golfer's elbow and tennis elbow can affect anyone - not just athletes. As a top New York City physical therapist, Dr. Imelda Tan, PT, DPT, CES helps her Midtown East patients reduce symptoms and improve range of motion with state-of-the-art treatments aimed at achieving optimal outcomes. Both tennis and golfer's elbow (sometimes called pitcher's elbow) occur when the muscles and other soft tissues of the arm, hand and wrist are overused, resulting in strain and painful symptoms. But the two conditions differ in the areas they affect: Tennis elbow (lateral epicondylitis) affects the muscles and tendons on the outside of the elbow, while golfer's elbow (medial epicondylitis) affects the tissues on the inside of the elbow area. Despite their names, tennis and golfer's elbow can occur even in people who don't participate in sports as a result of other types of overuse injuries, including repetitive lifting at home or at work. Both tennis and golfer's elbow are a type of tendinitis, or inflammation of the tendons. What are the symptoms of tennis or golfer's elbow? 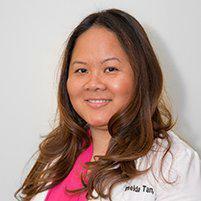 How does Dr. Imelda Tan, PT, DPT, CES treat elbow problems? Once the type of injury is determined, Imelda can help relieve inflammation and restore pain-free range of motion with exercises designed to improve circulation and ease strain on the soft tissues. She'll also help develop strength in the injured area to help avoid future issues. If your pain was caused by injury due to a sport or specific activity, Imelda can also help by providing you with guidance and advice regarding proper selection and sue of equipment and other ways to avoid recurrent injury.